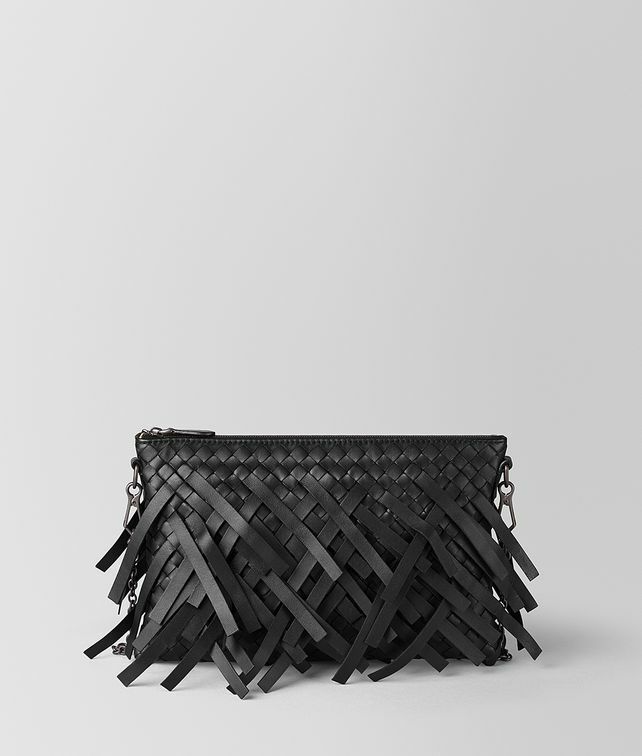 Cool meets craftsmanship in this fringe pouch, which can be used as a clutch, worn as a wristlet or carried cross-body with the removable chain strap. Each piece of fringe is hand-applied and appears to be a natural continuation of the intrecciato base. The complex workmanship creates a design that appears effortless but is anything but. The interior is fitted with 8 card slots and a note slot for organisational ease.